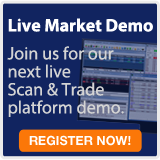 Ready for a demo? 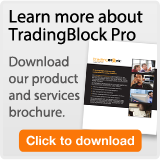 Talk to a TradingBlock Pro representative. Complete and submit the form below and we'll contact you. Options involve risk and are not suitable for all investors. Please read Characteristics and Risks of Standardized Options prior to investing. There is no guarantee that any of the strategies or services promoted will result in the desired outcome. This web site is provided for general education and information purposes only. No statement contained herein should be construed as a recommendation to buy or sell a security or to provide investment advice. Products and services are intended for U.S. residents and may not be available or offered in certain foreign jurisdictions. Contact us for more information.